We have had some great overcast warmer days in Island Park. With temps hovering around 40 degrees the Midge fishing has been very good in the Ranch. Personally I would like to see temps go down and more white stuff falling out of the sky but there is a lot of winter yet to come. A #18 Griffith Gnat has been working just fine. The Box has been the hot spot in Island Park. 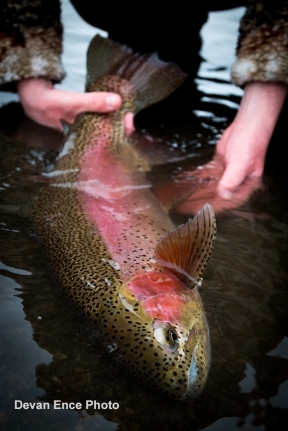 Most people are fishing at the dam but you can find fish stacked in the deep runs through-out the entire Box Canyon. As far as patterns go not much has changed Small Zebra Midges and Rubber Legs. I like a # 10 or #12 black Rubber Legs and a #18 brown or black Zebra Midge. The Box is only flowing at 100 cfs so leave the boat at home. The Midge action on the lower river has been great on the right days. Again focus on the the overcast days. The Nymph fishing had been great. I think the key to success on all our area water is going to be the weather. I would stick with the same patterns that I have mentioned above for nymphs. Have some Griffith Gnats handy as well. #18 and #20s will do the trick. I would also have a few streamers with you. I don’t have any much of anything new to report on the South Fork. Stick with small beads heads and rubber legs. I have also heard there are still a few Blue Wing Olives and of course you will find good Midge fishing on the South Fork. I also really like streamer fishing this time of the year. You may need to slow your retrieve down as water temps come down. The Teton has been fishing very well this last week. I wouldmake sure you had streamers! A white Zonker has been doing some real damage on the Teton over the last week. Remember to take some different colors of your favorite pattern with you. The nymph patterns you take with you will not change much at all. I will tell you if it was me I would start out streamer fishing the Teton. 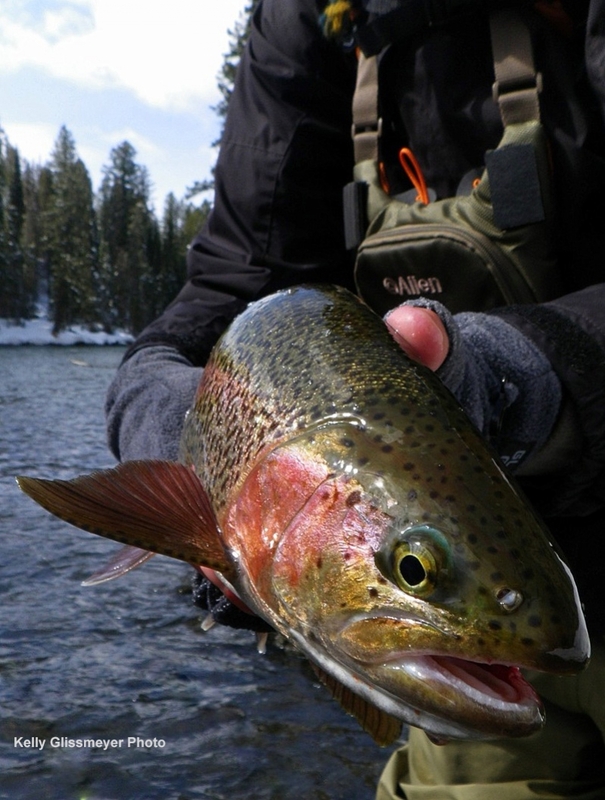 The Madison has been fishing well with streamers. Also there are reports of great midge fishing in the wade only sections of the Madison. The best streamer action seems to be around the three Dollar Bridge area on down. As always this time of the year watch for noses poking up eating midges. The Reservoirs in our area are beginning to ice up some but there is also plenty of open water. So I would be prepared for all conditions. The ice that is around is not safe to walk on so I would not even attempt it. 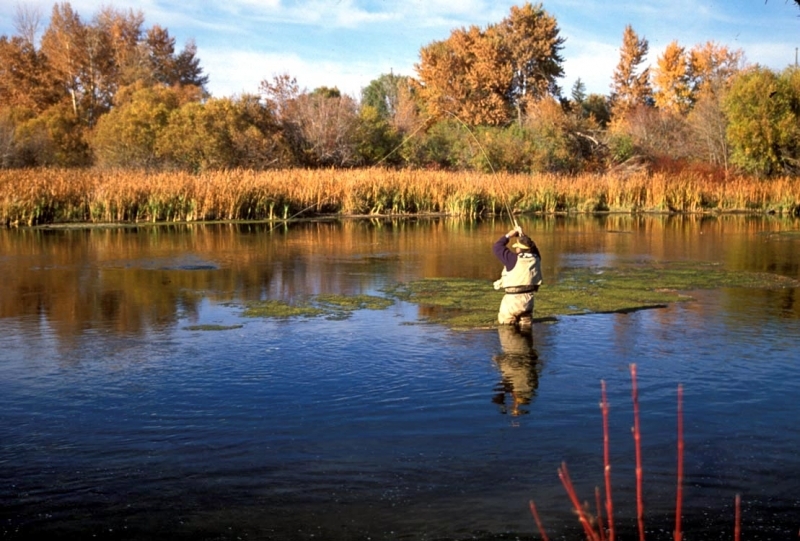 Both Island Park and Henry’s Fork are fishing well. Small bead heads stripped slow and streamers along the bank will work well.